Situation in Xinjiang province can worsen due to the growing links between domestic and foreign terror groups like the ISIS. BEIJING: China has witnessed fewer terror attacks in the last one year but the situation in the country's restive Xinjiang province can worsen due to the growing links between domestic and foreign terror groups like the ISIS, according to a new report. China has seen a decline in violent terrorist acts due to tougher security measures but the country still faces grim terror threats because the number of attempted attacks remained high, a report released by the Law Institute of the state-run Chinese Academy of Social Sciences said. 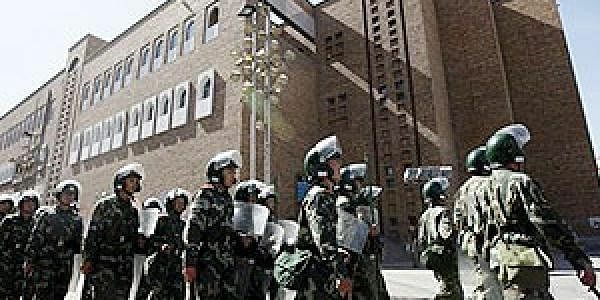 The situation in Xinjiang might become serious, since overseas terrorist groups now have stronger influence in China and the connection between domestic and foreign terror groups has become stronger, state-run China Daily quoted the report as saying. The number of traditional terrorist acts — violent attacks involving or orchestrated by terrorist cells — dropped last year, according to a nationwide public security data. China has deployed vast number of security forces, including its counter terrorism forces in Xinjiang bordering Pakistan-occupied Kashmir (PoK) and Afghanistan besides Central Asian states to counter the separatist East Turkistan Islamic Movement (ETIM). "China's tightened measures against terrorism have driven some suspects underground. And we see more cases of fabricating terrorist-related information and spreading terrorism propaganda," Huang Fang, the institute researcher who led the study, said. However, Li Wei, an anti-terrorism expert at the China Institute of Contemporary International Relations, warned that although there have been fewer violent terrorist attacks in the past year, the situation has not fundamentally improved. "People should realise that more attacks have been foiled at the planning stage. We haven't seen a significant drop in the number of attempted attacks," he said. Li said terrorist-related activities are still underway in some regions of the country due to the continued penetration of extremism from abroad. In addition to traditional terrorist acts, China must give more importance to combating the spread of terrorist propaganda online and on social media, Li said. Such acts should be treated as a form of terrorism as dangerous as violent attacks, much of the content targets young people and lures them into terrorist acts, he added. According to the report, a considerable number of terrorist suspects arrested last year were born in the 1980s and 1990s. Additionally, many terrorist cells are formed among family members, it said. While the Daily has not named any groups, Chinese security officials in recent months were vocal that Uyghur militants numbering several hundreds who were part of the ETIM have fought along the Islamic State in Syria to acquire battle skills. Most of them were set to return to step up terror attacks in Xinjiang and other parts of China.